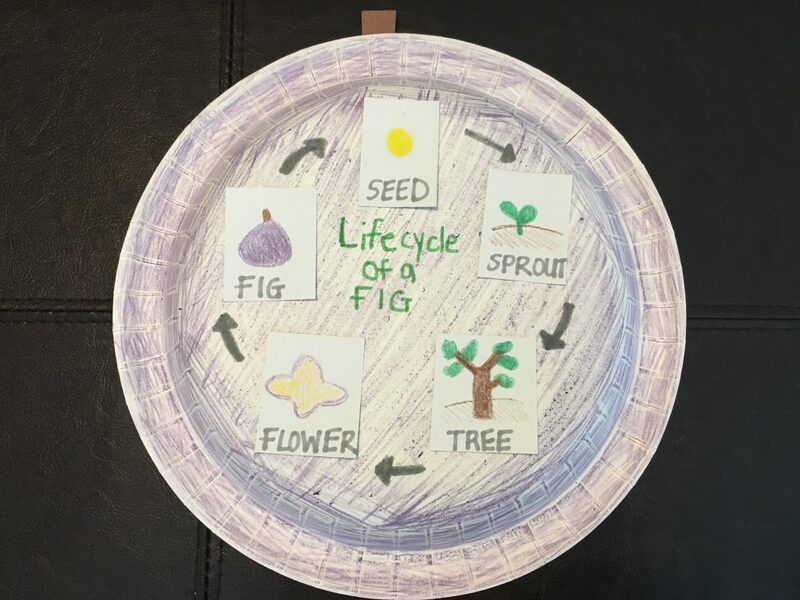 Now that your child has successfully mastered the parts of fruit, inshaAllah, it's time to explore plant growth. This is a great craft that most likely won't require an extra trip to the store. Hurray! We chose to study the life cycle of a fig since this is another fall fruit that is directly mentioned in the Qur'an. The fig or At-Tin, is also the name of surah 95. Just as I mentioned in my previous post (Fall Fruit Dissection), this activity will work with virtually any fall fruit. The basic framework for new fruit growth is the same, regardless of the kind of fruit. Let's get started! Grab a paper plate, construction paper, crayons/markers, glue, and a pair of scissors. Start by designing the plate as your fruit of choice. We colored ours purple (green would do, as well!) and glued a stem made from construction paper to the top of the plate. Next, cut-out five small squares from a sheet of white construction paper. 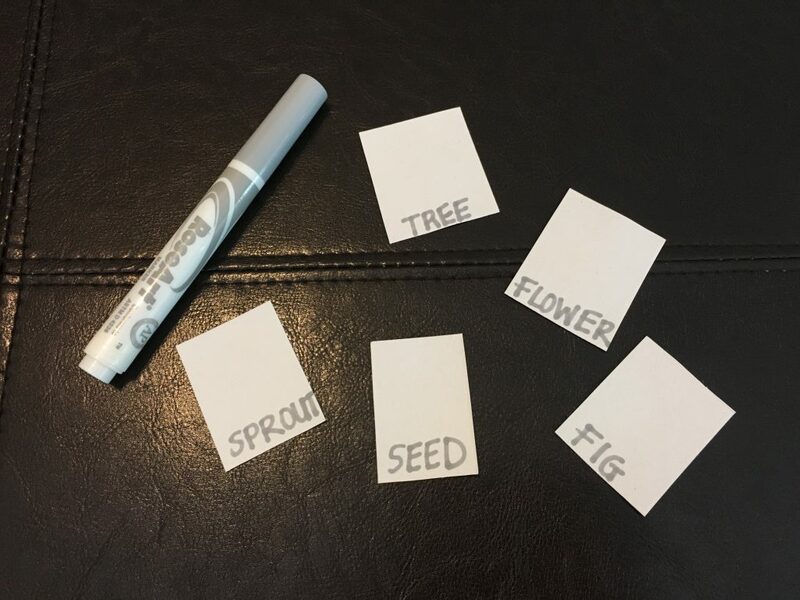 Label each square with a stage of the life cycle: seed, sprout, tree, flower, fruit. 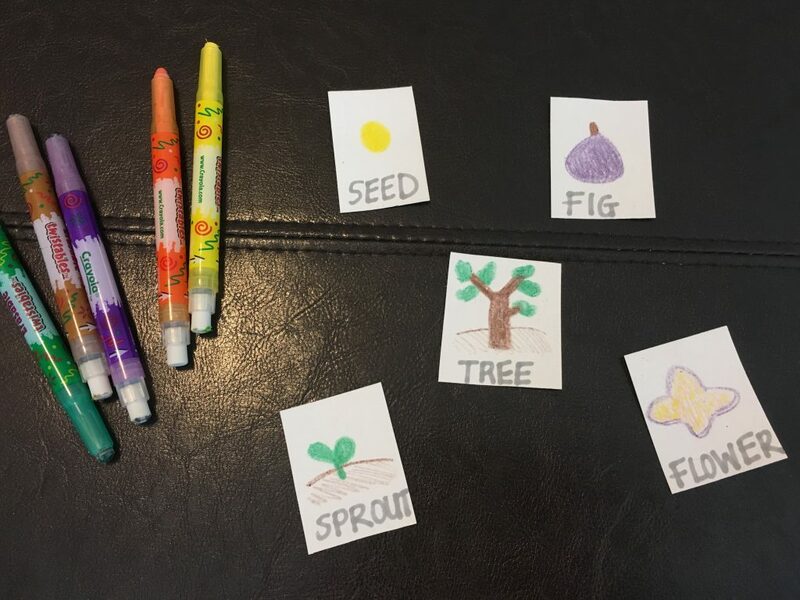 Have your child draw their representation of each stage. 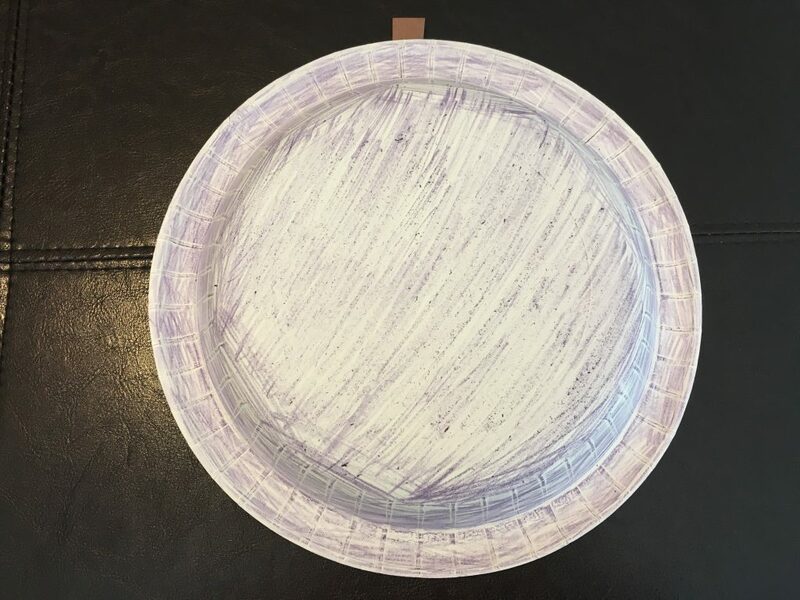 Paste each stage to the paper plate in the correct order. Add arrows, title, and DONE. For extra reinforcement, you can download our FREE Fig Life Cycle Cut & Paste worksheet with answer key below! 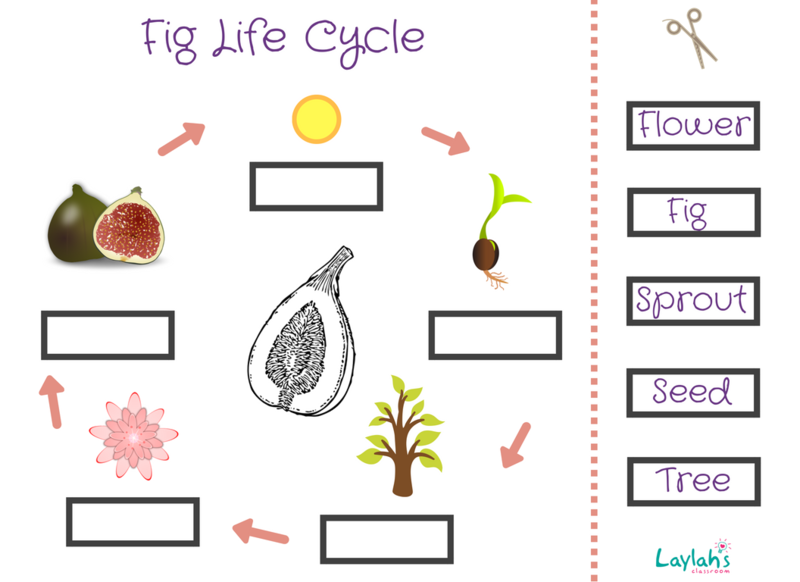 Where should we send your FREE Fig Life Cycle Cut & Paste worksheet with answer key?